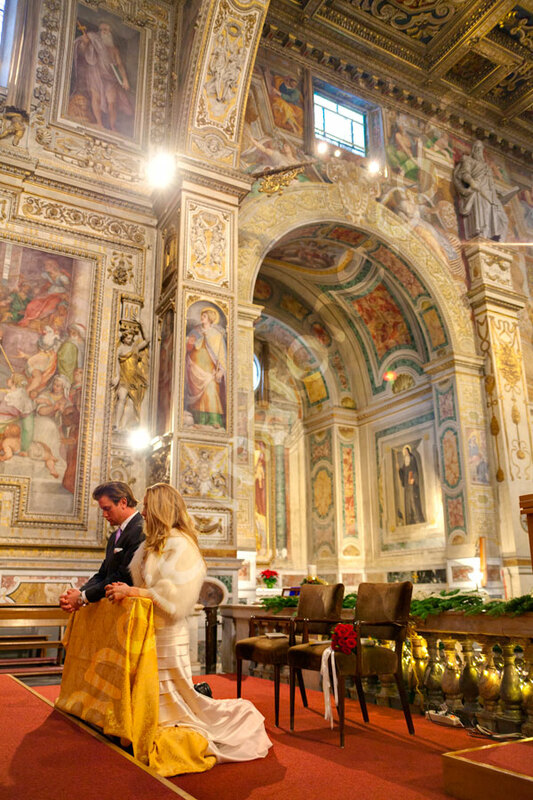 A beautiful couple and an intimate wedding celebrated in the suggestive Church of Santa Susanna in Rome Italy. 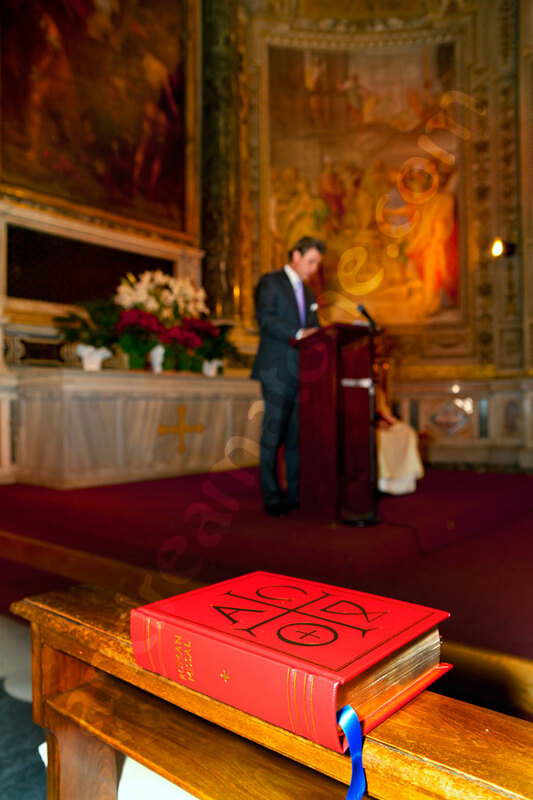 A wonderful setting of ancient history and catholic traditions. 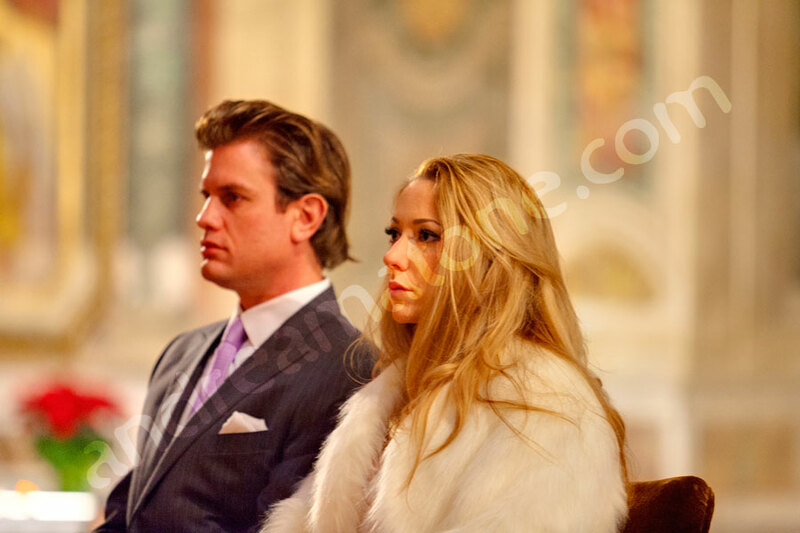 The ceremony was touching and heartfelt under the eyes of the many tourists which looked on from a distance. After the mass was over we were given the opportunity to take some pictures inside the church and observe all the nice ornaments and furnishing. The car was waiting for us outside ready to take us around the city to take pictures. 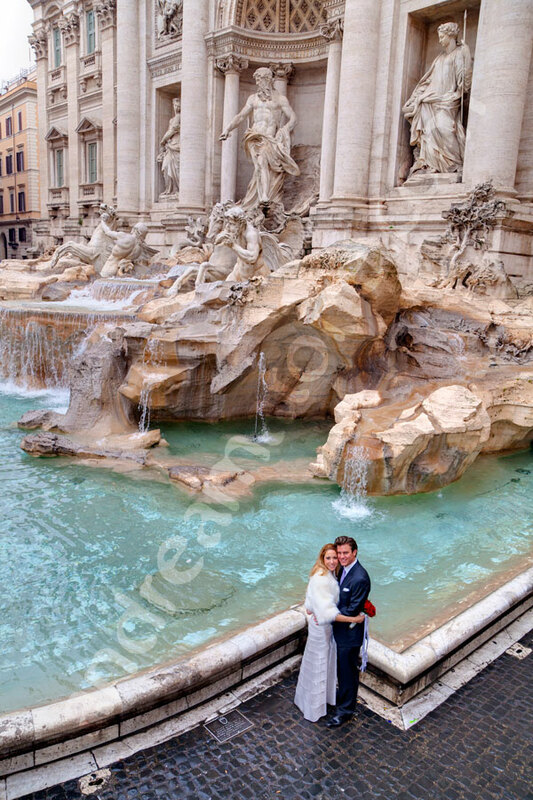 Our first location was the Trevi fountain which we found less crowded than imagined. This because it seemed like it was going to rain but it the end it never did. So we were able to get some nice wide angle views of the fountain having some good quality time to focus on photography. Our next stop was the Roman Coliseum which we approached from a high level ground using it as backdrop. Very iconic and a great symbol of Rome. The day was fantastic and I am grateful for the really nice experience. Thank you! 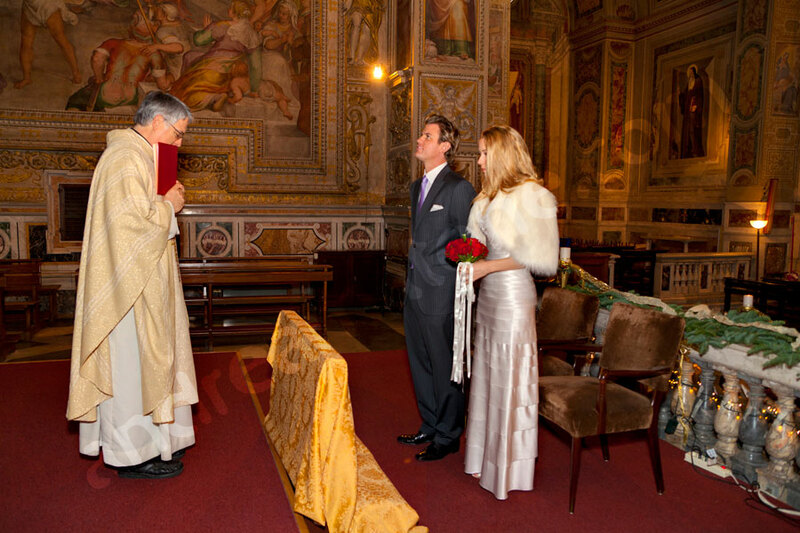 More wedding photography in Italy can be found here. Please visit the blog for more samples. 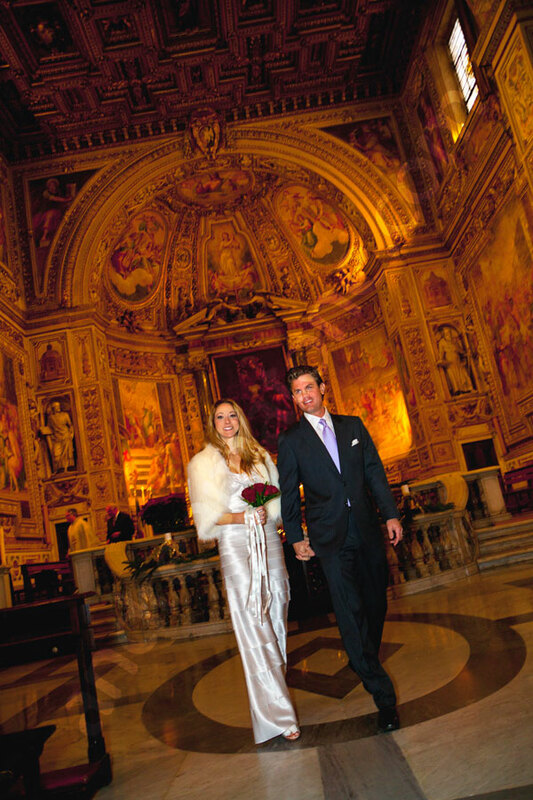 A breathtaking wedding celebrated in the city of Rome with an American Catholic mass in Church Santa Susanna. Following a stunning photo session around the city by car.